Created by Jamie Benny, this collection combines ethereal and delicate textures with a punk influence of mermaids with a moody and dark emotion. Created by Seung Ki Baek, this collection of Structured Grunge makes a statement with the colours of the hair achieving a strong, couture finish. Created by Tina Farey, Belle de luxe collection was originally influenced by the 1967 French film belle de jour mixing bold with luxury. Created by Jasmine Redstone, this collection’s inspiration came from deep within the tropical rainforest, creating a sinister, yet elegant collection. Ergonomic was created by the Rush Artistic Team; the collection was our interpretation of classic beauty that molds to future femininity. Created by Seung Ki Baek, this collection was inspired by The Coral Reef, along with the movement of tropical fish and their colours reflection. 60’s playhouse was created by Tina Farey; this collection was inspired by the strong 60’s silhouette, combining playful colour and texture. The Chrome collection was created by Tina Farey and was based on sharp edges, texture and cool shades, working with great light effects. Tribe was created by the Rush Artistic Team and inspired by nature; using organic materials and creating the feeling through texture and colour. Created by Brett Ryan, this collection was created to show strength and movement, though sharp lines and textured looks. 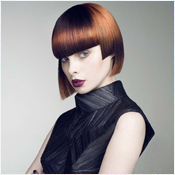 Created by Tina Farey, this collection was inspired by symmetry with cutting and styling to create such shape. Short hair is always in fashion, from classic bobs to creative textured pixie crops. Check out which short haired style is right for you. Mid-length hair is a great length; your style can be worn chic and elegant or textured and wild. Great barbered styles from strong lines and textured looks to close cropped hair to suit your preferred personality and life style. Gents need grooming too. Have fun with long hair, add in layers, long or short, wear it chic and straight or add loose waves or tight curls to your length. Hair up and editorial styles can be worn at all kinds of events, have fun with the different looks, shapes and textures. Avant Garde takes creativity to another level, amazing shapes, textures and styles, which can be made commercial for any event. 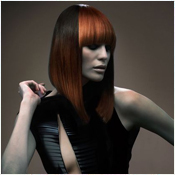 Autumn always brings the red hair back in style, from light coppers, to deep dark red or even subtle panels and tones. 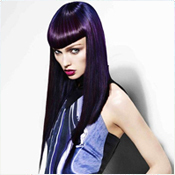 Different shades of dark hair tones, panels and all over colours, whatever the season, enjoy that sleek and shiny colour. Blondes have more fun, so go blonde during any season with a choice of different shades, panels or highlights. Rush Hair & Beauty 2016/2017 Collection.